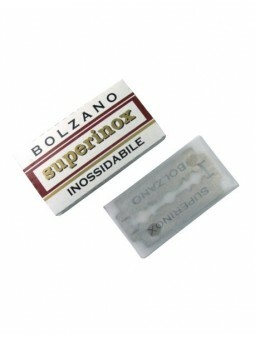 50 Bolzano "Superinox - Inossidabile" Double Edge blades. Made with high quality stainless steel. 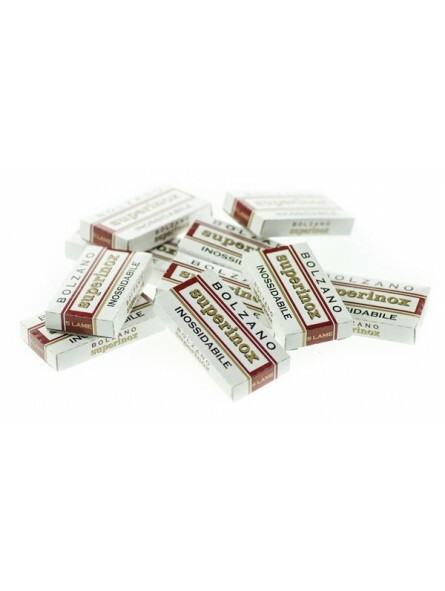 10 packs of 5 blades each individually wrapped. 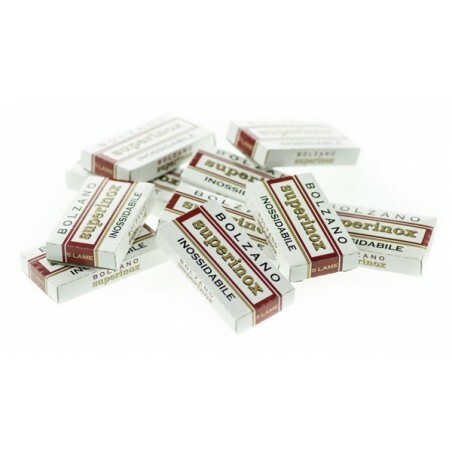 Save 10% vs individual purchase of 1 pack of 5 blades.